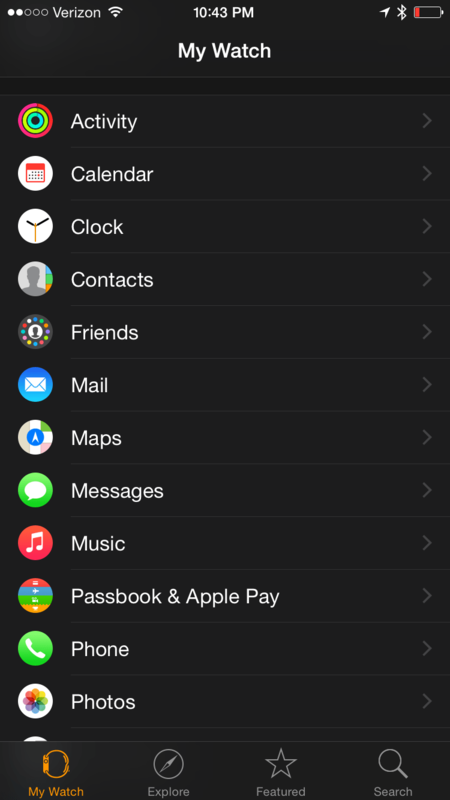 By default, the Apple Watch acts as a control mechanism for the Music app on your iPhone. The Apple Watch can play music without an iPhone present as well. But first you’ll need to sync a playlist to the watch. To do so, open the Apple Watch app and scroll down to the Music app listing. From there, you’ll see an option for Playlist Limit and Synced Playlist. First, we’ll limit the amount of space on you watch that the music from your playlist can take up. Tap Playlist Limit in the MUSIC STORAGE section. Here, I’ll tap on 2.0 GB. 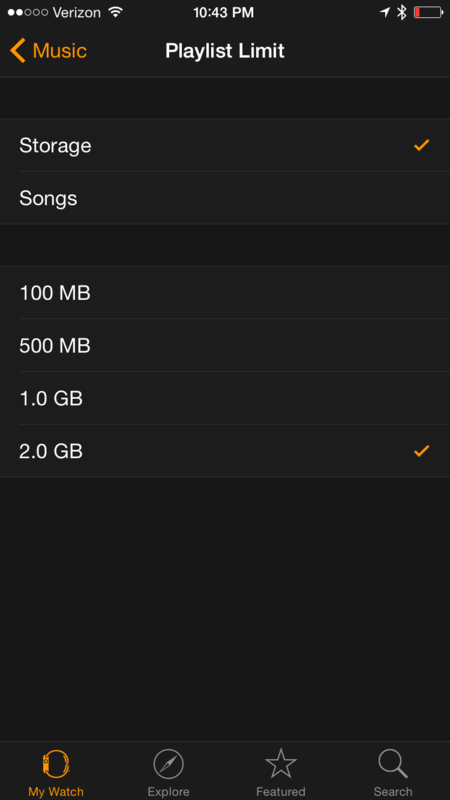 This will limit the amount of storage that can be taken up by the music from the playlist that we sync to the device. Then tap < Music to go back to select a playlist. 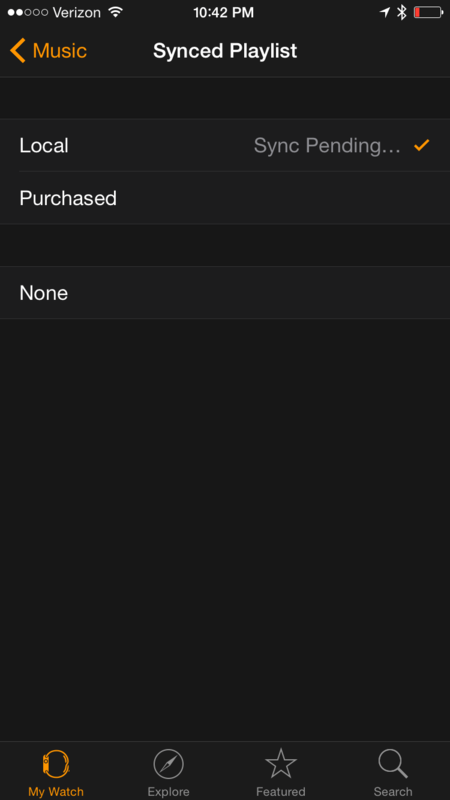 At the Synced Playlist option, select a playlist from your phone. I’m going to select one I created for this purpose called Local. 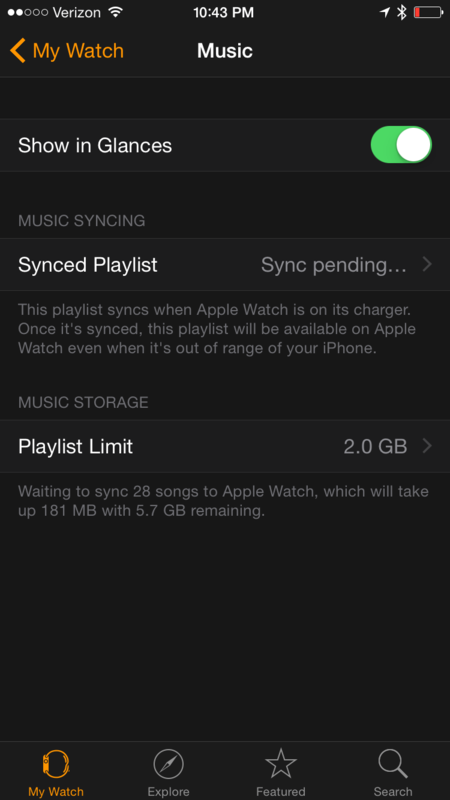 Once you do so, the music from the playlist will start syncing to the watch. You can then play it to a bluetooth device without having your phone present. For those who didn’t want an Apple Watch because they wanted to go on runs without a phone on them, you’re in luck. Now you just need a pair of bluetooth headphones.